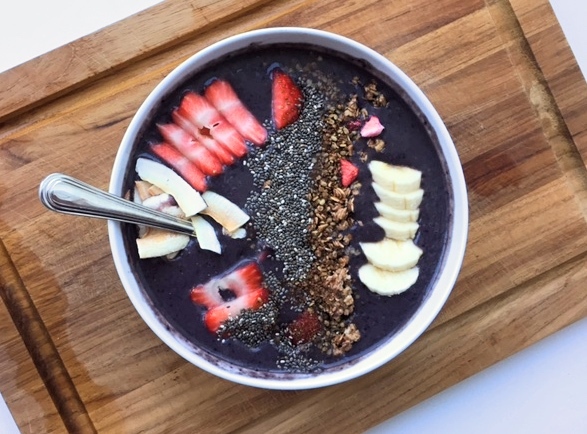 Smoothie bowls are all the rage right now, and we love how versatile they can be. There’s one for everyone, they say! 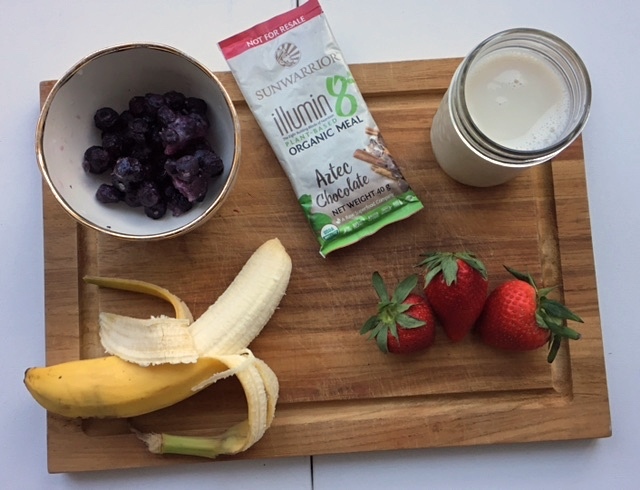 Here’s a vegan version that has good fats, whole food carbs, and vegan protein to get you through the day, featuring our friends at Sunwarrior and their Vegan Nutritional Shake Illumin8. For the smoothie, we like to use a mix of fresh fruit like bananas and strawberries and also frozen blueberries to make it a refreshing treat. Add your favorite milk beverage, such as Almond or Cashew Milk, or even a splatter of coconut water. 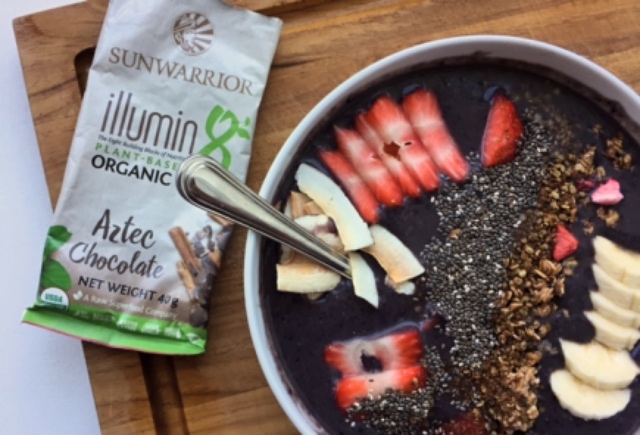 Blend it up and mix in the Chocolate Sunwarrior Illumin8 vegan protein shake, which has chia seeds in it making it a bit thicker already. Thickness is key, so make sure to not overdo the liquids as you blend. You can always add more if you don’t like a thicker consistency. Assemble it in a nice bowl, and sprinkle in extra fruit, chia seeds and nuts (here’s your healthy fat!) and a granola of your choice for some crunch. What did you whip up with your Illumin8 sample? Share your review and photos on social media with us!